When I was an undergrad, back in the day, a lot of the campus graffiti looked as if it had been written by someone who had dropped acid shortly beforehand. One example read: “The Tao that can be expressed in words is not the eternal Tao”. Another said: “Tell me what you want, and I will give you what you need”. That particular concept stuck in my mind, and it’s one I still use in my work on requirements. What do people want, and what do they crave, and what do they need, and what are the implications? Those are questions central to our world and our values, and they’ve been around for millennia, but they’ve never been properly answered. In recent years, though, research has produced some fascinating new insights into these old questions. As usual, the ancient Greeks feature prominently in the story. As usual, they identified some really interesting phenomena, and as usual, they came up with ideas that were half-right and horribly plausible and that led everyone off in the wrong direction for the next couple of millennia. The ancient Greeks spotted that there were regularities in what people liked, and that a lot of those regularities were mathematical. One batch of regularities related to music; another related to visual proportions. The usual example is the golden ratio, which is generally accepted to be the most visually pleasing ratio for a wide range of purposes. 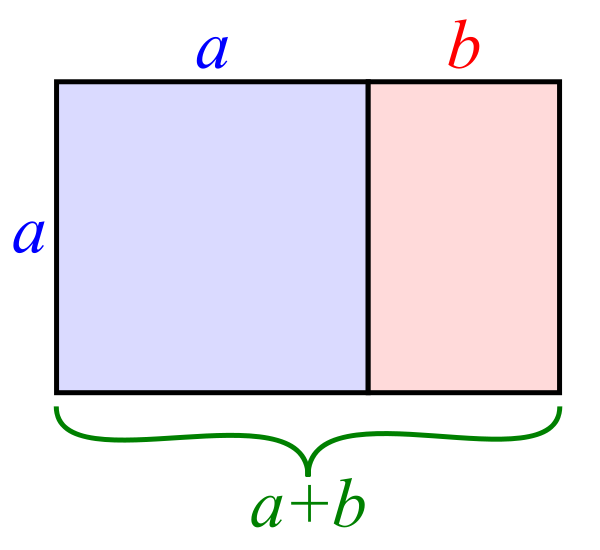 As an example, the length and breadth of the rectangle below conform to the golden ratio. There’s some heavy and elegant mathematics behind the golden ratio. A lot of other aesthetic regularities also have elegant and heavy mathematics behind them, such as musical harmonies, so the Greeks reckoned that they were onto something significant. From that promising start, they then headed off into mystical wibblespace, blazing a golden trail as they went. The next part of the story also follows a familiar schema. When nineteenth century researchers started heavy-duty, boring, data collection and data crunching, they found that the reality was different from what the Greeks had assumed. There’s a whole discipline of psychophysics, which deals with regularities in human perception; for instance, measuring just noticeable differences in human pitch perception, and seeing whether those differences change size at very high or very low pitches. Also as usual, the beautiful theories of the ancient Greeks were brought down by the ugly facts from this type of research. For instance, tt turns out that people do like the golden ratio, but it isn’t as clear-cut a preference as originally claimed. This modern research also uncovered various regularities that the ancient Greeks had missed, and confirmed that some of the Greek claims were fairly true, but not invariable universals. There’s now an entire field of neuroaesthetics, and a related field of computational aesthetics, looking at the underlying neurological and computational regularities of aesthetics. Two modern researchers, Ramachandran and Hirstein, produced a fascinating paper that brings together various strands of modern work on aesthetics, psychophysics and neurophysiology and applied them to art. Its story is a microcosm of the tension between these new fields and traditional approaches to aesthetics. This paper went down like a lead balloon with the art world, who have their own ideas about how aesthetics should be studied; Ramachandran and Hirstein decided that it might be wiser to return to their own fields, and to leave the arts people to continue as before. It was a sensible decision, but the art world was the loser in the episode, because Ramachandran and Hirstein had brought together a powerful assemblage of concepts and methods that could transform the way we think about aesthetics. The original Ramachandran and Hirstein paper is available online here. It’s well worth reading. Ramachandran and Hirstein are extremely able, insightful researchers. I won’t try to give a complete overview of recent work in this area; instead, I’ve picked out a few significant themes that particularly interest me, and that particularly relate to knowledge modelling. Most people, though not all, prefer symmetry to balance, and balance to asymmetry. It’s tempting to attribute this chain of preferences to some deep mystical cause, but recent research kicks the props out from under that temptation; it turns out that insects also prefer symmetry. Insects aren’t usually associated with deep mystical Platonic insights into the nature of mathematics and aesthetics. The cause is probably related to mental processing load; symmetry is computationally easier to process than balance, and balance is easier to process than asymmetry. This is a theme that occurs in a wide range of contexts; the human brain tries to keep mental load within comfortable limits. This bias towards symmetry probably leads to a lot of invisible errors, in the form of missed opportunities. In the case of missed opportunities, for instance, there’s no inherent need for aircraft to be symmetrical; a few designers such as Burt Rutan have produced deliberately balanced but asymmetrical aircraft, making use of the asymmetry to do things that would be difficult in a symmetrical design. Most designers, though, don’t tend to think that way. I’ve discussed this theme, and other implications, in more detail in Blind Spot (details at the end of this article). One interesting feature of modern work on aesthetics is that it has discovered new ways of quantifying regularities. For instance, there’s the old cliché of the desirable hero being “tall, dark and handsome”. How tall is “desirably tall” and how tall is “too tall” – or is it even possible to be “too tall”? If you apply some basic descriptive statistics to people’s preferences, you find regularities. Usually, there’s a “sweet spot” about one to two standard deviations from the mean. In the case of adult male height, this translates to somewhere between about six feet tall and six feet two inches tall. There have been several pieces of research that looked at how height correlates with status, income, etc, and the outcome from that research is that male height does correlate with those variables, up to a peak at about six foot two, after which there’s a steady decline. Sometimes this effect works only in one direction (e.g. only for a sweet spot above the average value) and sometimes it works in both directions (i.e. one sweet spot below the average, and another above it). There’s a separate tendency in some people towards “more is better” without any cut-off point, as in competitive sports. The full story, and the full set of implications, are fascinating; I’m planning to blog about them later, when the legendary spare moment occurs. So far, this article has mainly focused on regular trends in what humans like. There’s another trend, though, which cuts across those regularities and appears to contradict them. It’s the regular trend for people to like novelty. When you look beneath the surface, though, there are regularities within that liking for novelty. People usually like the uncertainty and the novelty to occur within a well-bounded frame. This leads into the issue of entertainment. We as a species spend a fortune on entertainment and pastimes; sports and games, movies and music, hobbies and passions. That pattern holds true across time and across cultures; art and music and games are pretty much universal, as far back as they can be traced in the archaeological record. When you look at popular entertainment, you soon start seeing regularities. Sports and games have tightly defined and tightly enforced rules, so the unpredictability of what happens within an individual sporting event fits within a highly predictable set of boundaries. It’s the same with music and movies; there are regularities that keep each individual example within known boundaries. There’s a strong argument that this is a manifestation of sensory homeostasis. In other words, we as a species regulate our levels of sensory arousal by selecting activities that raise our arousal level if we’re not getting enough input, or that reduce our arousal level if we’re getting too much input. It’s exactly the same principle as a thermostat cutting in to adjust the temperature of a room by switching on the heating if the room gets too cold, and switching on the air conditioning if the room gets too hot. As with a thermostat, people appear to vary in terms of how fine-grained the adjustments are; some appear to like keeping their range of arousal within narrow bounds, whereas others vary between bouts of low arousal and bouts of high arousal. Some thrill seekers prefer to have their arousal levels consistently high; some people prefer to keep their arousal levels low. There’s still a lot of research waiting to be done on this topic. It’s an immensely important topic, because it’s almost certainly a major issue in a wide range of social problems, where individual strategies for sensory self-regulation clash with laws or with the lives of people affected by those strategies, as in the case of alcohol abuse. The issue of what people want out of life takes us back to a topic that has featured frequently in previous articles, namely that people often don’t know and can’t know what they really want. That’s a clear problem in the case of knowing what the client’s requirements are for a particular product. There has been a lot of good work on this topic, and there are some clean, simple and cheap methods for tackling the problem. There’s been less work on applying those methods systematically to finding out what people really want out of their lives. This leads into another topic that has huge implications but which has been seriously under-investigated. Autobiographies often include accounts of a key event in the writer’s life where they encountered something for the first time, and knew immediately that this was what they wanted to do with their lives. Often, this happens when the person is still very young, but they stay with that topic for the rest of their lives, and continue to view it as the thing that they were put on this earth to do. What’s going on there? I wish I knew. It seems to be a real, powerful effect. Those accounts raise the question of whether that effect can only work for a lucky few, or whether everyone could have an experience like that. If it could apply to everyone, is there some way of making it happen more often, so that more people can know just what they want to do with their lives? I’m fairly sure that it could be done, by adapting some well-established techniques from requirements engineering; I’d love to know the answers. So what happens when we join up these concepts, and see what emerges? One theme is that it’s possible to model key concepts systematically, with solid numbers for most of those concepts. For instance, the desire for novelty can be modelled using information theory to put numbers onto the degree of novelty. Many of the issues involved in aesthetics join up with concepts from other areas that have featured in our articles, such as categorisation. An example is the concept of the “uncanny valley”. This was originally described in robotics, where there’s a tendency for robots to be perceived as more attractive as they become more human-like, up to a point where it’s no longer immediately clear whether something is a robot or a human. People feel very uncomfortable about robots and images that are in that uncanny valley. I’ve argued elsewhere that this is part of a wider issue about categorisation generally. When something doesn’t fit neatly into a category, that imposes more cognitive load on the viewer. This is acceptable in some situations, where the ambiguity can even be attractive (e.g. my earlier article about parsing ambiguous images). In most situations, though, it’s perceived as hard work, and often as potentially threatening. If this is a broader phenomenon, then it would tend to establish and reinforce clear gaps between different categories; this could be one explanation for the emergence of genres in media, where human cognitive biases would nudge media types into fairly clearly-defined separate categories. This leads into another phenomenon, namely second order effects. So far, I’ve focused on popular media, sports etc. However, with most media, sports, etc, there are experts who are well aware of the usual regularities, and who want to go beyond those regularities and explore new possibilities. The result has been described with terms such as “music for musicians” or “art for other artists,” where the product only makes full sense if the listener or viewer is already familiar with the usual conventions, and can understand how the new product builds on those conventions and goes beyond them. These outputs are often perceived by ordinary audiences as obscure or inaccessible or unattractive, even though the same outputs may receive critical acclaim from other specialists. One motivation for producing second order music etc is genuine expert desire for novelty. Another possible motivation is the desire for attention. This leads into the issues of status and of conspicuous consumption, with regard to what people want. Again, there are regularities; for instance, high status is usually associated with display of rare and/or expensive and/or highly visible status markers. Also, there are regularities in the form that these markers take; for instance, status markers usually enhance the apparent height of the individual, consistent with the correlation between height and status described earlier. These issues have been fairly thoroughly studied in anthropology and sociology and disciplines dealing with popular culture, such as media studies. The theme of sensory homeostasis brings us back to education and the workplace. The typical teaching environment seriously reduces the scope for sensory stimulation, making it difficult for many students to achieve a tolerable (to them) level of self-regulation; from their perspective, the system is subjecting them to torture via sensory deprivation. Similarly, the inherent nature of bureaucracies, caused by game theory and system theory, predispose bureaucracies towards being highly structured and predictable, which will make them uncomfortable enviroments for much of the population. At one level, these issues have been well known for a long time. At another level, though, these issues are typically viewed as inevitable, rather than as a tendency that we need to counteract via deliberate intervention to make the learning environment and the work environment fit for human beings. In my next article, I’ll write about how systems theory and games theory and the mathematics of desire combine, with particular regard to how people view the world, and to the implications for education, policy and human happiness. Rodriguez, I., Gumbert, A., de Ibarra, N.H., Kunze, J. & Giurfa, M. (2004). ‘Symmetry is in the eye of the ‘beeholder’: innate preference for bilateral symmetry in flower-naïve bumblebees’, Naturwissenschaften 91, pp 374-377. This entry was posted in aesthetics, art, mathematics of desire, our research and tagged golden ratio, Rutan, Symmetry by hydeandrugg. Bookmark the permalink.